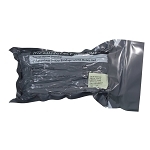 Sold by case only, 100 in each case. 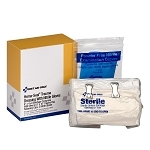 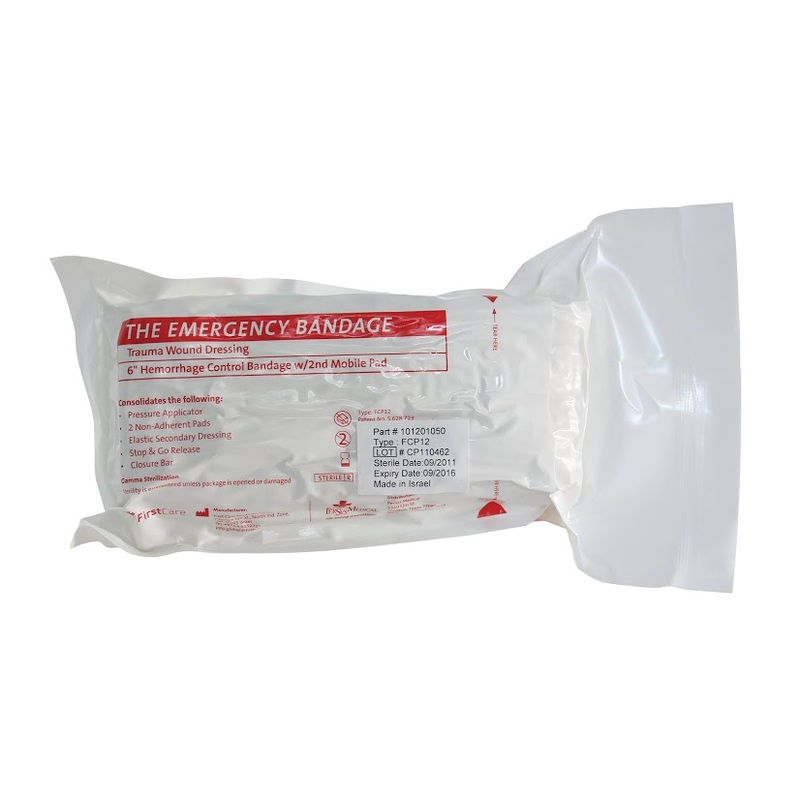 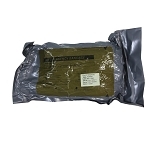 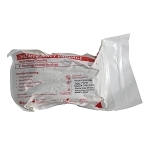 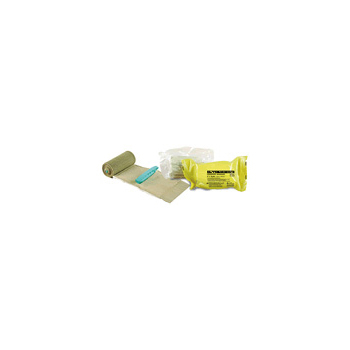 This 6 inch wide, all-in-one bandage consolidates multiple first-aid devices such as a primary dressing, pressure applicator, secondary dressing, and a foolproof closure bar to secure the bandage in place. 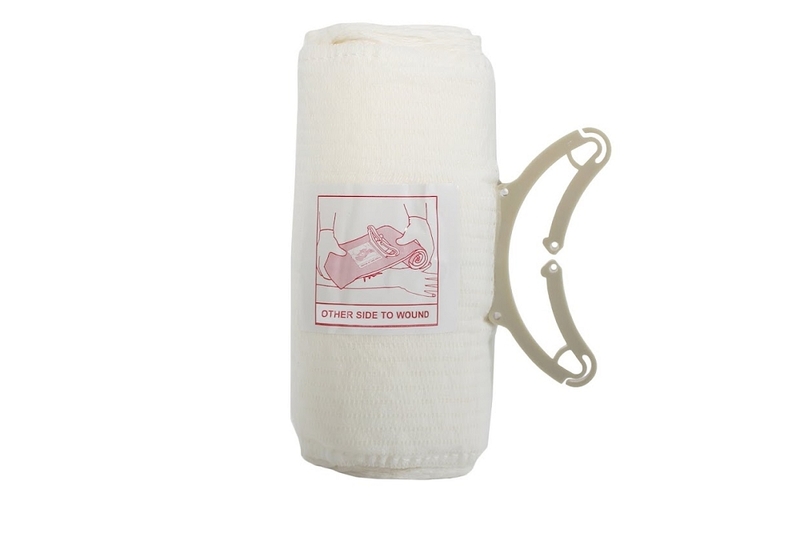 This model includes a sliding/mobile pad for coverage of entry and exit wounds.